Luckily, my social enterprise compelled me to re-ask the questions. With more frequent travels to the Himalayas, the Andes mountains, Kilimanjaro etc., I couldn’t help but ask myself the question, “Where do people from Asia, Latin America, Africa, and Middle East fit in within this world of mountaineering?” They are out there climbing Everest. And yet, the western media lacks interest in their stories. Why is that? Is it because their stories are second class and less appealing to the masses? Is it because western publications are driven by their base of readers comprised mainly of white people? Whatever the reason may be, the media has the leverage and power to create change and to be more inclusive of diverse voices in the outdoors. What is stopping them from doing exactly that? As much as I would like to say at this point that I have found the answers to these questions, I have not, at least not to the degree by which I could claim that my answers as they stand are a hundred percent accurate. The reality is many outdoor publications have not been forthcoming with why they lack diverse representation in the stories they write. I, like many people of color, await their response, or better yet their initiative to make changes. On a personal level, the media’s prerogative to portray mostly white people in the outdoors creates an unwelcoming atmosphere to people that look like me. It’s a barrier that I can’t escape whether mentally or in reality. As much as I would want more representation of people that share my demographics, there is no official means for me to persuade a publication to do so. We glorify so many of the white athletes but hardly ever celebrate those who have a different skin color. If nonwhites are featured in anyway, it’s most often than not, for the publication’s own benefit, i.e. to demonstrate to the world and potential critics that they are pro-diversity, which in most cases linger on a superficial level. Hence, it is incumbent upon those of us who care about diversifying such stories to take the initiative and make the changes ourselves. I never aspired to climb Everest for a few important reasons including the fact that Everest has become a haven for the exploitation of the locals and the environment. Hence, even though this interview can inspire readers to entertain the idea of climbing Everest, if you do indulge in that manner of thinking, please seriously consider the impact you would have on the locals and the environment. Educate yourself on the current issues of exploitation happening with the Everest climbing industry, some of which constitute traces of colonialism still. Everest is a sacred mountain. It is to this day a holy place for many of the locals. In my ventures into Nepal, India and China, many locals have expressed their concerns as to how westerners have sought after Everest to satisfy their egos without regard to the locals’ spiritual traditions. In fact, many locals have confided that but for the western climbers who popularized the climb of Everest, they would not be climbing Everest themselves because a holy peak to them is not meant to be climbed. I met Regie Pablo during my visit to the Philippines in 2017. During that time, I came across a few avid hikers in the country who apparently were involved in several prominent mountaineering clubs. I was curious to ask whether any Filipinos have ever climbed Everest. Quickly, I was advised to meet Regie who successfully climbed Everest from the Tibet, China side in 2007. My arranged meeting with Regie in Manila spanned for over three hours. I quickly gathered from my conversation with him that the Filipino experience of climbing Everest is completely different from that of a climber who lives in America or Europe. 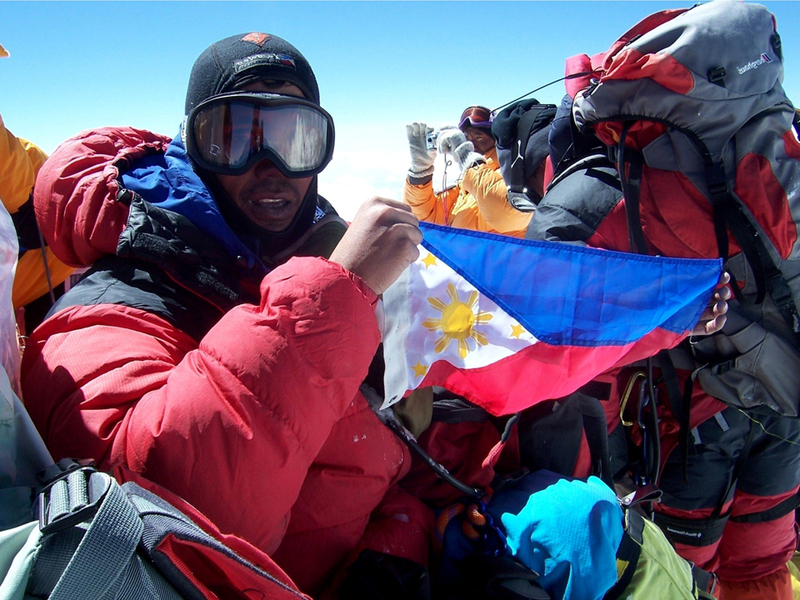 For one, the cost to climb Everest can be prohibitive for majority of Filipinos. Secondly, the training is difficult and requires creativity given that the Philippines is devoid of high altitude and snow covered peaks. Instead, it has a humid and low-altitude jungle type of terrain. 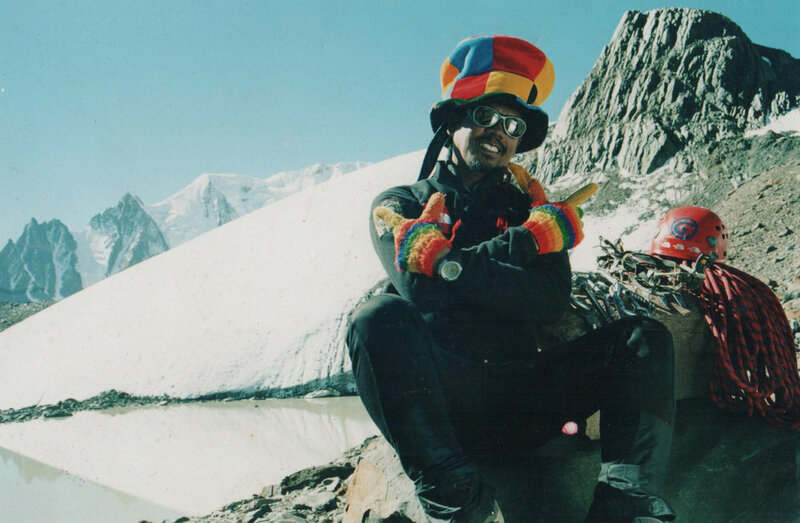 Lastly, it’s intriguing to know how Regie’s family and friends perceived his unconventional dream of climbing Everest. He didn’t come from an affluent family which made his dream of climbing Everest highly self-indulgent in a culture that promotes choosing the best interests of one’s family over one’s own personal desires. As expected with such set of challenges, Regie’s story sparks the most inspiration for people whose dreams are hindered or compromised by their life circumstances. Ultimately, Regie’s story depicts a universal concept that even for those in the western world can appreciate: Persistence. After his Everest climb, Regie remains dedicated to protecting the environment by creating his social enterprise, Revolve, and engaging with the indigenous communities (the Aetas) to create a local sustainable trekking tourism industry. Tell us about your childhood. How was it like? I was born in Olongapo City, Zambales. 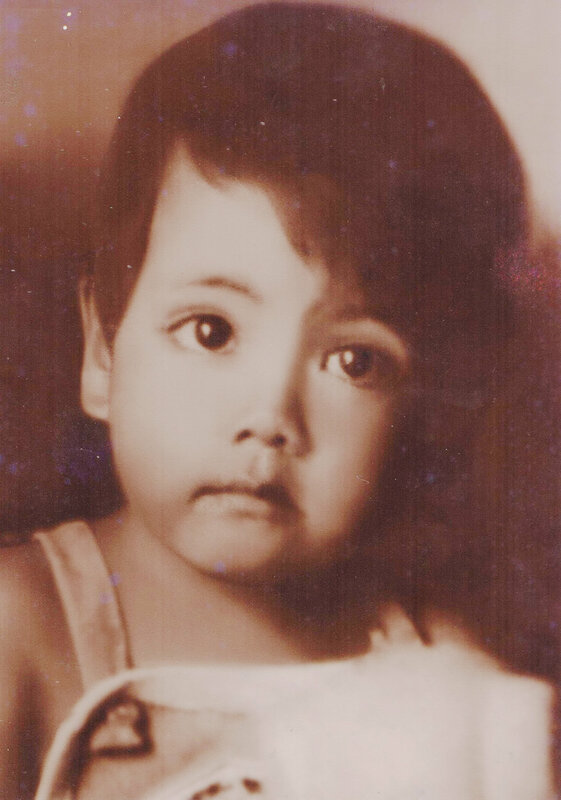 At the age of two, my family moved to Pasig in Manila. I am the eldest with two younger sisters. While in Pasig, our family moved around several times so I was always the new kid in the neighborhood. My mother was a cosmetologist and her livelihood was running a beauty salon while my father was a factory worker for a thread manufacturing plant before becoming a seaman. It was tough growing up for me as I was born both premature and asthmatic so my mom was very protective of me and won’t let me play physical games. She was always concerned that I would have an asthma attack whenever I play. I studied at an all boys Catholic school in Pasig. Again, it was tough for a Filipino kid especially since I don’t know how to play basketball. I was teased a lot both at home and in school. I did well in Academics though. At Grade 5 Level, I received First Honor Awards in all subjects except for Physical Education and Scouting. I did not get the PE Honor for obvious reasons, and for Scouting, I was not allowed by mother to join the camping activity in school as, again, she was worried I would have an asthma attack. I cried incessantly because of that, and promised myself that one day I’ll go on camping myself. How did you get started with the outdoors? Hiking and the love for walking long distances started out for me not as a hobby, but as a necessity. At high school level, my mom’s business started to fail. It affected everyone in our family. To help out, I started going home from school by walking to save some money. It was about 45 minutes of walking from school to our house. I would return the jeepney (a public mode of transport) fare money she gave me at the end of each week to help out on our school allowance the following week. I started enjoying it as it took my mind away from the problems at home. It was also a good realization for me, as well, as at that stage, my asthma attacks have ceased. During my last year in college, I wanted to join our schools’ mountaineering club called Mapua Institute of Technology Mountaineering Club (MITMC). However, due to the demands of my academic work, I decided against it. My first job after college was with a mining company. So, I was exposed to a lot of different mine sites in the field. It was both a wonderful and sad experience for me. It was wonderful because I was able travel and meet a lot of people, and sad because I saw the destruction caused by open pit mining in our mountains. After a two-year stint with the mining company, I moved to a telecom company. Again, my work entailed a lot of travelling as I was doing market research for our company. My first assignment involved an actual mountain climbing around 1994 in the island of Mindoro. I was tasked to evaluate the telecoms facility of the government which was being sold to our company. One of my assignments was to climb Mt. Calavite in Paluan, Occidental Mindoro. I made it to the summit after enduring six long hours of hike, leeches and tamaraw (a native buffalo) scare. I considered that as my first climb. I really loved the experience. Once back in Manila, I met office mates who jogged regularly. It turned out they were preparing for weekend climbs. I joined their climbs and eventually we formed an outdoors club called Globe Adventure Club. The Philippines isn’t known as a trekking or climbing destination. Can you describe how hiking or climbing has evolved over time in the Philippines? There’s a significant difference hiking 20 years ago compared to doing it now. As a start, the sport was enjoyed by a certain few back then. Now, it is a mainstream recreational activity. People back then were questioning the logic of exposing and torturing yourself in the outdoors, now the common question is, “where were you last week?” It was also tough getting gear and equipment decades ago. You’ll have to have a relative who is working overseas to have access to name brand gear. Now you can order almost everything online and we have lots of outdoor shops and concept stores of big outdoors brands here in the Philippines. We also used to travel across the islands thru ferries and ships. Now we have budget airfares so travelling is easier. As the number of hikers has increased exponentially, so is our impact on our climbing destinations. We used to go outdoors to avoid the big crowd in the cities and in the shopping malls. Now, climbing is like going to the malls as most of the popular hiking destinations are also crowded. I just wished that we could use our numbers to our advantage by influencing our society and perhaps even legislators in crafting laws that would protect the environment and its flora and fauna. What type of hiking can you do in the Philippines? There is a variety of treks we can do here. We have the leisurely strolls where the trails are very established and which one can do in a day. There are also overnight hikes that offer majestic view either of the sea or sea of clouds. We have technical climbs as well which would require basic rock climbing skills. Our longest mountain range, the Sierra Madre Mountain Range has yet to be joined by one major trail system although there are major sections of this trail that already exist. The ruggedness of this area and the local insurgency problems are a concern in accomplishing this feat. We also have the Cordillera Mountain Range which is teeming with the culture of the indigenous people. It has established trails that are often referred to as parts of the Spanish Trail because they were developed during Spain’s occupation of the Philippines. A section of it is called the Yamashita Trail which refers to the last stronghold of the Japanese occupation. We have mountains that are always wet and with a lot of waterfalls and river systems, while we also have mountains that entails hiking thru a desert like environment. Oftentimes, you’ll meet indigenous people on the hikes as they are scattered all over the archipelago. The Philippines being in the Pacific Ring of Fire offers different mountain environments. What organizations exist in the Philippines that promote hiking or climbing? The biggest mountaineering organization in the country is the Mountaineering Federation of the Philippines (MFPI). It was founded in 1979. It consists of several major mountaineering organizations, either corporate, school base, or LGU (local government unit) backed organizations. Nowadays, we also have enterprising individuals who have established their trekking outfits which organize regular treks. How did the idea of Everest come up? In 1999, I met a guy named Monty Sorongan thru the internet. Monty was one of those people who were responsible for the creation of the Indonesian Everest Project. He asked me why no Filipino has managed to climb Mt. Everest. He said that in 1997 Indonesia and Malaysia did it. In 1998, Singapore did it. I was struck by that question and it made me ponder why not. I continued my online conversations with Monty for quite a while and I also met David Lim via internet. 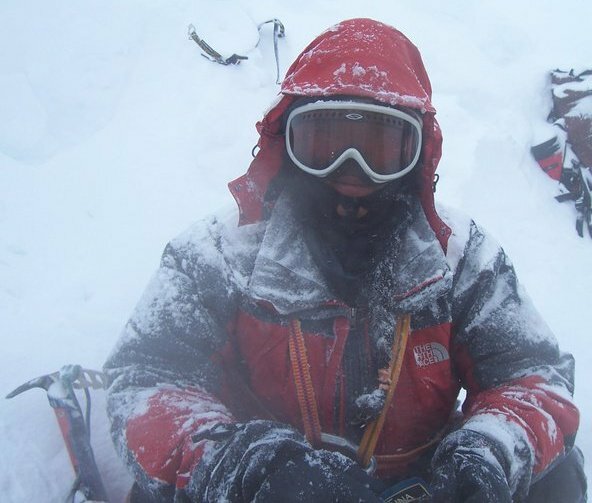 David was one of the creators of the Singapore Everest Expedition Team in 1998. In the year 2001, Monty invited me to join a climb to Puncak Jaya or Carstenz Pyramid in Irian Jaya, Indonesia. Monty was one of the trek organizers for this climb. He gave me a free slot based on the condition that I pay for my own flight. This was his way of encouraging me to give Mt. Everest climb a serious thought. He told me that the Puncak Jaya climb would enable me to assess if I can do Mt. Everest. Beyond that, he also wanted me to meet renowned climbers, Eric Simonson and Khoo Swee Chiow. They were joining the climb in Irian Jaya. Both Eric and Swee Chiow could share some valuable lessons in their past Everest climbs. Eric Simonson did his first Mt. Everest climb in 1991 via the Northeast Ridge while Khoo Swee Chiow was one of the first Singaporean who climbed Mt. Everest in 1998. In preparation for the climb, I did regular runs, climbs and indoor wall climbing training. I also had to buy a lot of mountaineering gears and equipment which were not available then locally. So, I had to ask my friend from Hong Kong to buy these equipment for me. It cost me a fortune. Then two weeks before the climb, Monty informed me that the climb is off. Apparently, local insurgency in the area broke out and it was not safe to climb. It was a big disappointment. Then after a few weeks after the cancelled climb in Indonesia, I received an online invitation from a trekking agency in Kyrgyzstan to climb Lenin Peak. It didn’t take me long to decide to join the climb. I felt I was ready both physically and logistically. I was joined by a climbing buddy, Ohmar Picache. We only made it to Razdelnaya Peak which is about 6,134 meters. While we did not make it to the summit of Lenin Peak, I considered it a remarkable achievement as it was my first alpine climb and I made it above 6,000 meters without any problem. That climb made me realize that I have to train hard for Mt. Everest. A year after, I tried climbing Mont Blanc in France. But before the actual climb, my climbing buddy, Butch Sebastian, had to leave Chamonix due to the death of his father in law. So, I settled with climbing solo in the French-Swiss border. But before my climbing buddy had to leave, we agreed to give Mt. Everest an attempt. Who organized your expedition to Everest? In 2003, I was elected as the President of the Mountaineering Federation of the Philippines. It happened during the Annual MFPI Congress in Cagayan Province. In attendance at that event were the former Presidents of MFPI. During one of our huddle, one of the former Presidents of MFPI suggested that we form an expedition team to climb Mt. Everest. Butch Sebastian who was also a former MFPI President told the group that he and I already have plans to climb Mt. Everest. We were convinced that it was better to form a national team as it would be a great contribution to the national pride of Filipinos. We agreed to form the team and registered it as a corporation to handle the fundraising aspect of it. We selected members based on our familiarity with their mountaineering skills. We also made it a point that the whole country was represented so we had to pick climbers from Luzon, Visayas and Mindanao. Officially, the organizers of the First Philippine Mt. Everest Expedition Team were Butch Sebastian, Fred Jamili, John Tronco, Art Valdez and I. How did you deal with the cost? Raising funds for the team was the toughest part of organizing the team. It was very hard convincing patrons and sponsors to support a national climbing expedition where majority of the team members had not even experienced snow. We were refused so many times by a lot of multinational and famous Filipino brands. In our first training climb to India, Butch Sebastian had to borrow money from his friend and our team had to pay it back with interest. Fortunately, on our second training climb in New Zealand in 2004, my company supported us financially. For the succeeding climbs, we had to be creative to deal with our funding problem. In our trip to Pakistan on our way to a Muztagh Ata climb, we slept in the airport rather than a hotel. We also ate food samples give by certain vendors. We only had $100 per diem per climber for the whole climb. While presenting the idea that planting the national flag at the summit of the highest mountain in the world is a noble idea and a patriotic act, it was tough convincing sponsors that we are worth their money and support. How did you train for your Everest climb? Our training program was designed with full credit to the help of David Lim of the Singapore Everest Project. He shared it with me and our team. We adopted the program with some adjustments based on our schedule. We included climbs of some of the top ten highest peaks of the Philippines and an attempt to a never before tried route in Mt. Guting Guiting in Romblon Island. As I’ve earlier mentioned, our first training climb was in India. It was done in Western Himalayan Mountaineering Institute in Manali, India. It involved classroom sessions, rock climbing exercises, physical training and an actual expedition in an unclimbed peak in Ladakh, India. After that we enrolled ourselves in a Technical Mountaineering Course in Mt. Cook, New Zealand. Then a selected team was tasked to climb Muztag Ata in Xinjiang, China. This was in preparation of the Everest climb. We had to change our training program because another Filipino climber supported by a rival network sponsor wanted to beat us to be the first Filipino in Everest. 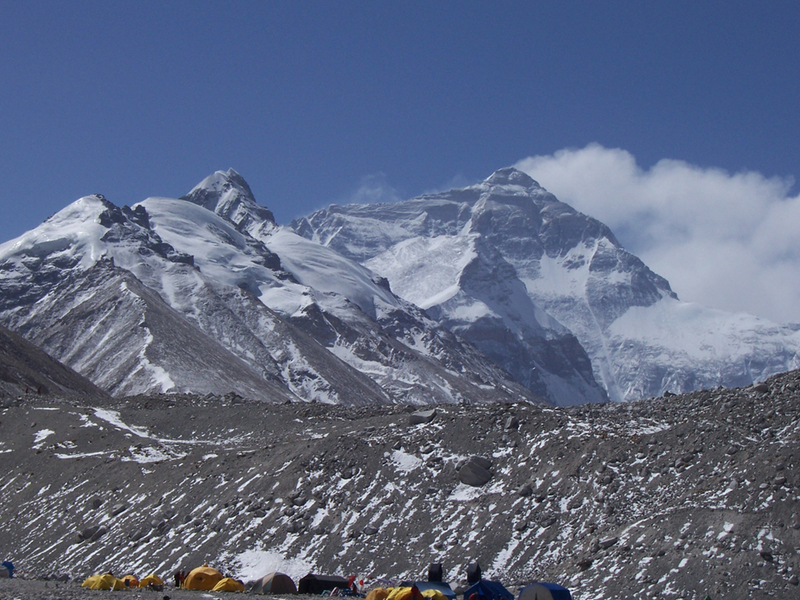 The original plan was for a two team expedition from the North and South side of Everest. But this has to be put aside to address the issue that confronted us. Fortunately, our team made it first to the summit with two climbers, Leo Oracion and Pastour Emata. While our team was still on the way to the summit of Mt. Everest, I had to rush home together with our female climbers. We had to prepare for another Everest attempt the following year. 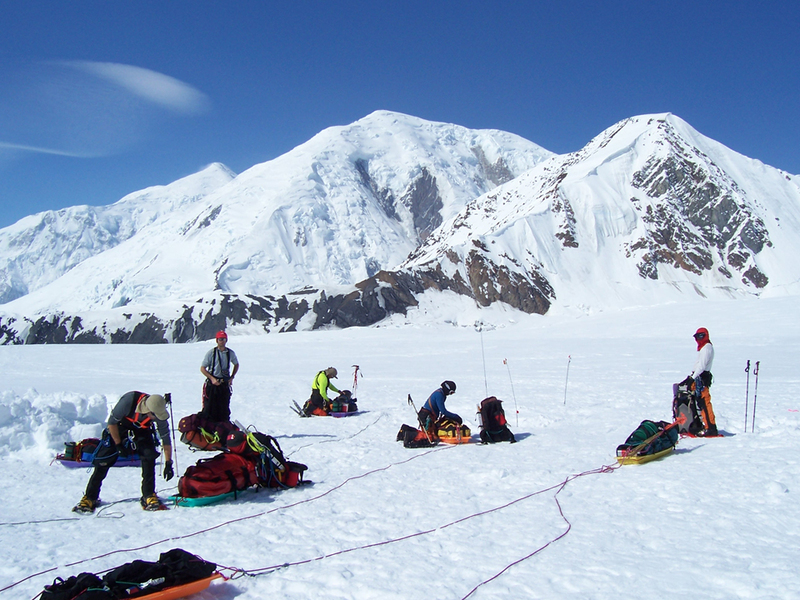 So we climbed Denali in June of 2006 and then attempted Cho Oyo October of the same year. Tell us about your team. Who were they? Where were they from? Our team was composed of the following: a) Regie Pablo – Olongapo City, b) John Tronco – Bacolod, c) Genesis Bolauro – Bacolod d) Tophe Eyao – Davao, e) Levi Nayangahan – Ifugao f) Jong Narciso – Manila g) Choi Aquino – Manila h) Butch Sebastian – Bulacan, i) Noelle Wenceslao – Manila, j) Janet Belarmino – Nueva Vizcaya, k) JB Anonuevo – Albay, l) Leo Oracion – Cebu and Quezon, m) Pastour Emata – Davao, n) Art Valdez – Bacolod o) Fred Jamili – Iloilo p) Dr. Ted Esguerra – Davao q) Chico Estrera – Butuan r) Nick Dimaampao – Lanao Del Sur s) Ariel Ambayec – Manila t) Larry Honoridez – Iligan City u) Rey Sumagaysay – Davao v) Val Ramos - Ifugao. We started as a huge team and after every international climb we had to trim down the number based on performance. As I’ve earlier stated, we tried to represent the whole country. There were more climbers whom we felt could have been included in our initial roster but we narrowed it down based on our Three C criteria; capability, compatibility and commitment. When did your expedition occur? For the First Philippine Mt. Everest Team Expedition, we started planning for it in 2003, launched it officially and started training in 2004 and the actual Everest Climb was in 2006. For my personal Mt. Everest climb, I did it in 2007. How did your family and friends react to your plan to climb Everest? I started the journey of climbing Mt. Everest without much fanfare as I was concerned of being ridiculed. But when everyone learned about it, they were all proud of me. My employer even let me take a three year leave just to prepare for the climb and even supported our whole team financially. My Mt. Everest climb actually happened just three months after my wedding and I was still nursing a frostbite injury from climbing Cho Oyo. There was a concern on my part if I would heal in time. But I was egged-on to continue despite several setbacks and concerns. Overall, there was a huge support for my Everest journey from my family and peers. I even met people online who encouraged me and sent me some equipment. A Filipino American named Ben Chiong sent me some of his equipment from his previous alpine climbs. Until now, we remain as friends. Tell us about the actual experience climbing up Everest. How was the experience like for you? It was tough for me to climb Mt. Everest because I had to do it alone. My original climbing team and I had to part ways due to some internal issues. Of course I had the help of my climbing partner Sherpa but I had no team mates and I had to join an “International Team” to save on cost with the climbing permit. Our team was composed of two Japanese climbers, one German, one Czeck, one Dutch female climber, four Americans, and a Brazilian couple. Although we shared climbing permits, we followed our own schedule. Two of our “team mates” died - one Japanese climber and the Czeck climber. I was technically with a group of strangers whom I had no climbing experience with. 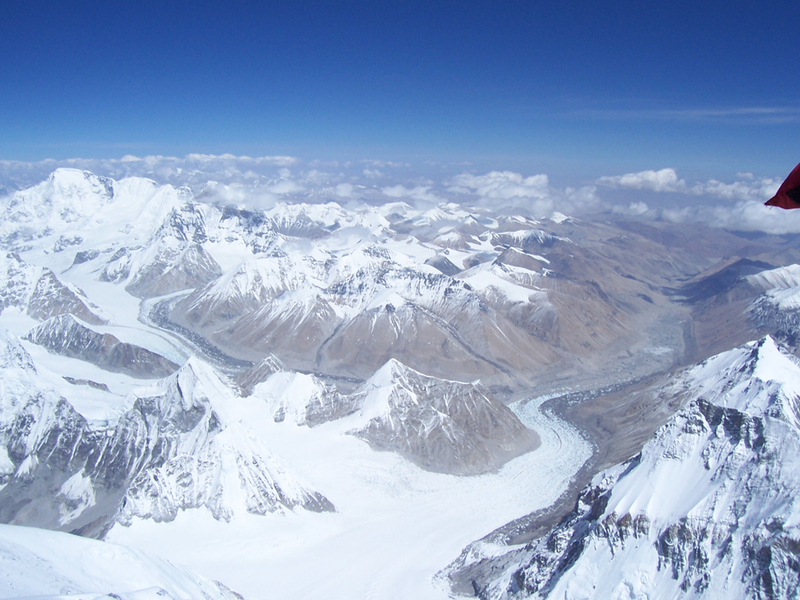 The view from the summit of Everest. The highlight of any Everest climb will always be reaching the summit. I reached it with a very good weather. It’s my Andy Warhol moment. Warhol once said, “In the future, everyone will be world-famous for 15 minutes” I stayed in the summit for about 15 minutes with no problem. It was a beautiful sight from the summit as you can see the grandeur and vastness of the whole Himalayan Mountain Range. Following the vow of early Mt. Everest climber and explorer George Mallory, I left the picture of my wife at the summit marker and tied a rosary at the base of the Buddha statue which was placed there by a Sherpa just a few days after I made it to the summit. The toughest part is the descent. We started the summit assault at night time so it was still dark. The descent is in the morning so now the whole danger of going down is very visible. I also saw dead bodies along the way and I counted around eight of them. I also felt weak as I had to stay three nights at the Death Zone due to the medical emergencies that our Sherpa had to tend to. It was tough going down and my team mates thought that I was already dead because I came down late. What motivated you to push through the tough times on the mountains? Philippine expedition team en route to Everest base camp. How did you handle the challenges? From the onset of my Everest journey, I knew that there will be challenges along the way. I expected it although most of the things that came my way were difficult to predict. I just stayed focus and kept a mindset that problems are not stumbling blocks for us to give up, but they are opportunities for us to be creative and resourceful. I gave myself time to pause and assess the situation, even sulked a few times, but the important thing is I know when it was time to move on and adapt to the situation. Creativity and resourcefulness would always help anyone to cope with challenges. But staying focused and motivated to pursue a task or a dream is key to success. What lessons did you learn out of the experience? If you were to do the climb again, what would you do differently? There were a lot of lessons I learned from the Everest experience. First, self-confidence is a must. In life, we will always find ourselves in situations where we question whether we can accomplish something we have set out to do. Worse, people close to you, some of whom you have even helped to accomplish their task would be the ones to discourage you and say that you are incapable of making it. We must believe in ourselves that we can do it no matter what people say. I was once challenged by a potential sponsor on why do Everest when it has been done before by several thousand individuals. My quick answer was, “why not?” Imagine if we were always cautious of doing things because someone downplays or belittles what we have set out to do. We would always be too afraid to do what we want because of what others say. The second lesson is determination. I think all the virtues in life mean nothing if we are not determined to achieve things. You may be the most intelligent person on Earth, have access to all resources you need, or be the nicest person to be with, but if you are not determined to accomplish anything, then everything just goes down the drain. The third lesson is find inspiration in your pursuit of happiness. There must always be a sense of purpose in what we do. This is where determination would emanate. In my case, my goal was to prove that I am just an ordinary person who have set out to do something extraordinary, and that I am capable of doing it. I think if given the opportunity to do it again, I will be more conscious on who I work with. Mountaineering is not an individual sport nor is it just a physical sport. It is a team sport and a big part of it also deals with the mental aspect. Even if you are surrounded by the strongest athletes in the world, if you are not in sync with one another or some of your team mates are just out there to look out for themselves, then it lowers the success rate and the achievement is not the best experience you will ever have. 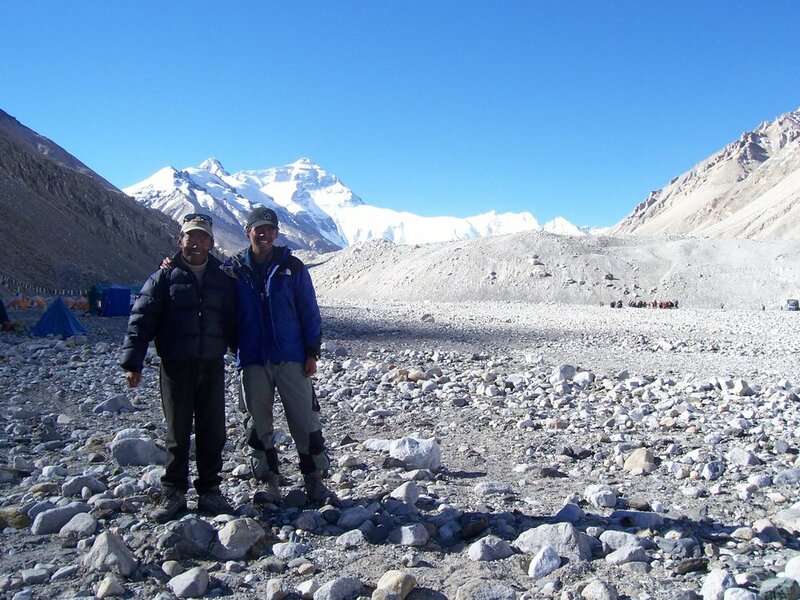 Regie with his climbing Sherpa partner after a successful summit of Everest in Tibet. How did it change you in anyway? Accepting the challenge of forming a climbing team instead of doing it solo changed me. I considered that a step of maturity for me as I was able to give up a personal ambition for a higher cause. It also changed me in my perspective on how I deal with relationships. Above all, climbing Everest was a humbling experience. The whole experience also helped me develop and realize skills that I didn’t know I had. I was tasked by the team as the official spokesperson. So, I did a lot of media interviews in print, radio, t.v. and even thru the internet. I was invited to appear on talk shows and news programs. I was even made to dance Samba in a live morning show! Initially, I had some stage fright but I quickly adjusted to my role and would later on do it with confidence. I also had to meet potential sponsors both in the corporate world and the government. So I was able to meet CEO’s, Presidents, corporate officers, government officials, politicians etc. This improved my communication skills while expanding my network of supporters. And since I was also preparing for the climb, I trained regularly and religiously. 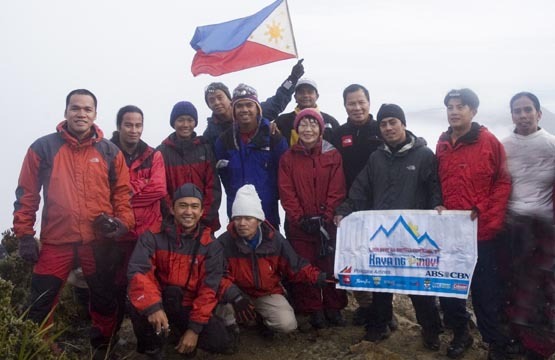 Since you climbed Everest, has the mountaineering community in the Philippines changed? I think our Everest climbs’ biggest contribution to the Philippine mountaineering community is the realization that we Filipinos can do it. We can adapt and perform in an environment that is outside our comfort zone. We are resilient people. It also opened up opportunities for others to venture into international climbs, as long as the resources allow it. Unfortunately, it did not translate well in getting sponsors. Since we’ve done it, most potential sponsors think that there is no more value in supporting climbers who want to do alpine climbing as it has already been done before by my peers and I. But I would also like to think that the national media exposure we got from the Everest campaign somehow helped promote the sport which in turn increased interest; therefore, there are more hikers/climbers now in the Philippines. What's your advise to those aspiring for such a big climbing/hiking endeavor? I would encourage everyone to try climbing or some form of hiking as an outdoors / recreational activity. It is an enjoyable experience. It also teaches us the value of things which are normally taken for granted in the lowlands. I sincerely believe that only if all people are exposed to the outdoors, then we would appreciate more the importance of caring for the environment. It also helps develop our interpersonal communication skills as we will normally deal with a lot of people. But while I do advise everyone to take up this sport, they must bear in mind that this is also a dangerous sport. So they have to be aware of the elements that are beyond their control. One must prepare before venturing into the outdoors. And preparation comes not only physically but also mentally. Everest base camp in Tibet. Did the climb inspire you in anyway? How? The climb changed my whole perspective in life. I used to have a gung-ho attitude especially in the outdoors. Now I am more deliberate and methodical in what I do. I guess seeing those dead bodies while I was climbing down Everest and losing two of my team mates in the climb made me realize my mortality. No one lives forever. I also realized that not everything works according to plan. Somewhere or somehow somebody or something will screw up your plans no matter how careful you planned for it. It is always inevitable. But the important thing is we must always be adaptable and resourceful in adjusting to the situation that has been thrown at us. I have also made it my mission to share whatever knowledge or valuable lessons I have learned from my Everest experience. It is fulfilling and at the same time it boosts my morale knowing that some people appreciate and recognize what I have done. An accomplishment means nothing if it’s not shared or told. To what extent are you still involved in the outdoors? I am still actively involved in hiking in the sense that I still do some hiking if there is an opportunity for it. The climbing destinations are very accessible from where I am. Plus my two mountaineering groups are very active so I join them from time to time. And then of course my advocacy work with the Aetas require regular visits in their area so this involves some trekking. But generally, I’ve mellowed down a bit compared to say like 15 years ago where I go outdoors almost every weekend. Nowadays I’m busy running my social enterprise. Tell us about your enterprise. I am running a social enterprise called Revolve. I produce sportswear using fabrics made from Recycled PET Bottles. After my Everest climb, I wanted to do something that is close to my heart which is of course outdoor sports and environmental advocacy. I came across a product which was made from Recycled PET Bottles. It got me interested and I studied it. Eventually, I left the corporate world and established a brand called Revolve. I produce sporstwear made from Recycled PET Bottles. I started out with running singlets for a fund raising event. Then came cycling jerseys. Then I also had orders for laptop bags. So from time to time I get orders to produce different types of sportwear and bags. Revolve is a growing and dynamic social enterprise with environmental advocacy as our priority. Corporate Social Responsibility (CSR) is not an after thought for us. It is the foundation of our business. We provide companies, institutions and consumers a unique opportunity to become environmentally aware and at the same time CSR champions. In patronizing our products, they enjoy quality merchandise that are not only affordable, but also functional and chic. In the different facets of our operations, we try to minimize our impact on the environment. We are the only Philippine company that uses a unique raw material fabric made of Recycled PET bottles. We also use recycled paper in our packaging, marketing collaterals, hangtags, etc. We also employ the services of a bike courier service to deliver our products. A certain portion of our revenue is also allotted to community programs. We are the only Philippine Company that uses YKK’s Natulon line of zippers and hook and loop fasteners which are also made from Recycled PET Bottles. But not everything is smooth sailing for the brand. Right now we are on a job order basis. We still struggle to convince would be clients that our products are the right alternative for their requirements. Most clients are cost driven oriented so it’s a bit difficult to convince them. I am thinking of launching our retail brand but funds are a bit of a challenge. So my hope is to solicit funds from angel investors or venture capitalists at the moment. Tell us about the social project you're working on with the indigenous communities. I am a native of Zambales Province. There is an indigenous tribe in our province called the Aetas. They use to live nomadic lives and were mostly hunter gatherers. But during the Mt. Pinatubo eruption of 1991, it changed their whole lives. Most of them were relocated in resettlement centers away from their traditional ancestral domain. While the eruption has forever changed the landscape of Mt. Pinatubo and the Aetas, it is continuously regenerating. With this change, the Aetas have come back to their ancestral domain. It presents both challenges and opportunities. One challenge is that they lack the economic opportunity that can sustain their daily living. While a lot of NGOs and government agencies have been continuously supporting them, I think it is not enough. So, I’ve developed a trail system around Mt. Pinatubo that could present opportunity for mountain guiding and trekking tours. We’ve explored and mapped these trails and have in fact organized mountaineering events so as to promote the area. At the same time, I’ve also made sure that the guides are equipped with equipment and knowledge of the work. I’ve conducted several mountain guide training, as well as, Leave No Trace Principles lectures. I’ve also organized some civic work within the area thru medical missions, feeding programs, school supply donations, and tree nurturing activities. I’ve done this with a big help from my mountaineering groups called the Globe Adventure Club and Ulo ng Apo Mountaineering Club, both of which I am the founder. It is a continuing process and activities depend on the climate. Regie remains active in the local mountaineering community and continues to educate people in the responsible use of the outdoors. He also continues to share his Everest experience to inspire others. Regie is currently writing a book about his Everest experience. An alpinist at heart, he hopes to complete the seven summits as a lifetime goal as he continues to defy the norms.